· Abulafia-Koch toric algorithm, which reportedly theoretically accounts for posterior corneal astigmatism. This calculation method uses the standard keratometry measurements (anterior K values) and estimates the total corneal astigmatism based on the Abulafia-Koch regression formula to improve the prediction of postoperative astigmatic outcome. · Predictive patient-specific effective lens position (ELP) which improves the preoperative refractive predictability. · A HELP-button at each bloc that will help you to understand and fill in each parameter. · The calculator still offers you the possibility to use the Standard K calculation method as with the previous version. · The French, German and Spanish versions will be soon available. 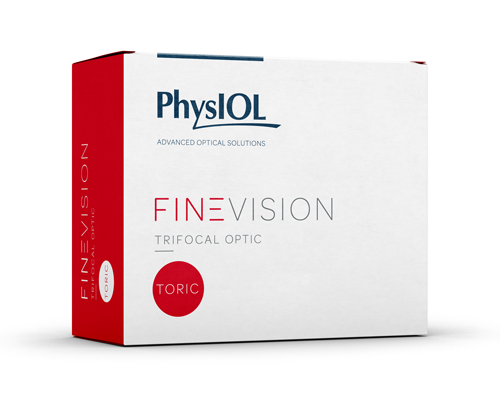 PhysIOL supports you with the most precise and reliable IOL calculations that will help you achieve the utmost satisfaction level of patients with corneal astigmatism.